MEXICO: Traditionally the person in charge of a ship at sea is addressed as Captain. In the Merchant Shipping industry, in most legal, trade and commercial documents, the captain is referred to as the Ship’s Master. Among professional mariners, the title “Captain” is generally used by a person who has been appointed and commanded a merchant vessel. As per British precedence, the Harbour Master, the equivalent of Chief of a Port, is also referred to as “Captain” if he had merchant marine or naval rank and has commanded a ship at sea. A Master’s license is colloquially called a “Master’s Ticket” or just a “Master’s”. Consequent to the introduction of Conventions of STCW 1995, the usage of jargons like ‘ticket’, ‘license’, ‘Master Mariner’, ‘Class I’ etc have become less relevant. As per rule 15 of MS (STCW) Rules 1998, a ‘Certificate of Competency (COC)’ in Form 3 is issued to Master (FG). An ‘Extra Master’ Certificate in form 4 is an optional certificate and is evidence that the candidate has attained a higher level of professional excellence, in accordance with rule 16 of the said rule. The captain has enormous legal powers and is responsible in all aspects for a ship underway. His powers include the right to use deadly force to suppress piracy and mutiny. Before the invention of electric telegraph by Mr Samuel FB Morse and Mr Alfred Vail in the 1830s or more realistically, the invention of voice phone by Alexander Graham Bell towards the end of nineteenth century, a ship that sailed out is heard only when she returns. Precisely, prior to the establishment of efficient and reliable communication systems, the Captain was totally empowered with the Ship’s business – that included chalking out sailing programmes, cargo deals and cash transactions. If the freight he collected or earned is found to be insufficient to pay off the expenses, he could pledge the ship against a loan using an instrument called ‘bottomry bond’. If the value of the ship is found to be insufficient, the Captain was armed with another instrument named ‘respondentia bond’ to pledge the cargo. With the rapid developments in communication technology and establishment of law relating to international trade, commerce, shipping practices and a matured global logistics system in place; the Ship’s Master is greatly relieved from the stress he had to undergo as a merchant. Many of the related functions are now managed from shore offices of Ship Owners or Charterers, Consignors, Consignees, Agents and other stake holders. The ship-borne Long-Range Identification and Tracking of ships (LRIT), Automatic Identification System (AIS) and related vessel monitoring system helps location of ships at any given point of time. Besides, the Radio Frequency & Identification Technology (RFID) tags are in use in cases, pallets, and shipping containers that enables tracking of cargo by stake holders. Technical reports indicate that soon cargo owners will have the facility to monitor the temperature inside a refrigerated container, wherever it may be, from his desktop. Technical aids do not free the Captain from responsibilities to the crew, ship, cargo and voyage from the port of embarkation to the port of disembarkation. He has the authority to initiate prudent action to protect the vessel and save it from hazard and to call upon all persons onboard to render assistance in an emergency, failure to render such assistance constitute a crime. The Master is required to sign the Bill of Lading ‘for having received the cargo onboard in ‘apparent good order and condition’. Though some shipping companies issue the ‘Bill of Lading’ signed ‘for and on behalf of the Master’, for fast processing of documents, the Master is not relieved from the related responsibilities. If he signs for goods which are not as per description given in the bill of lading, he is personally responsible for any claims that may arise. He is the bailee of the cargo and is liable for custody, care and transfer to the bailor as per the agreement. He may jettison cargo and do such other acts which may benefit the voyage as a whole without fear of being held responsible and may also, when cargo is damaged or in the case of perishable cargo which has deteriorated, dispose off the goods to the best of his ability on behalf of the owner of the cargo. The common belief that the Captain is empowered to conduct marriages on board is sceptical. These days, the cruise managers trumpet marriages on board cruise ships but these marriages are merely ceremonial and not legal unless registered legally. Again, the Captain’s authority to bury the dead is exercised with due care and attention to the related provisions of law. 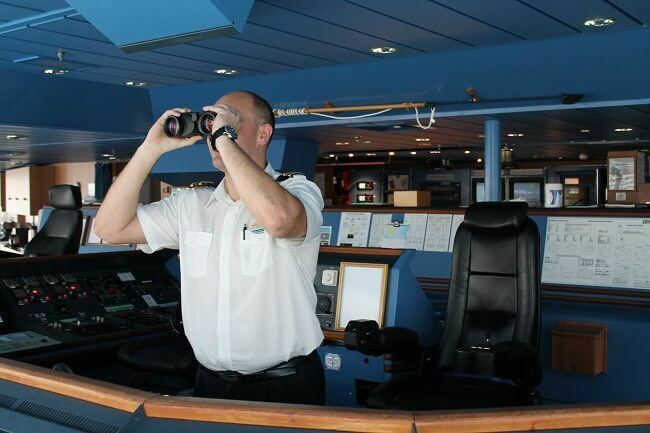 Though the Captain is relieved from many of the commercial functions, he is now burdened with the formalities in connection with a series of audits; and compliance of provisions of SOLAS, MARPOL, STCW 95, ISM Code, MEPC, MSC, TCC (to name a few) and corresponding statutes introduced by the maritime nations. In olden days, on the sight of shore after a long sailing, the seafarers forgot all the hardships and they had quality time ashore to unwind. With the ever increasing emphasis on swift deliveries, fast turnarounds and denial of visa for crew at ports of call, the toughest task of the Ship’s Master is to maintain the morale of the Ship’s Company. With the bare minimum crew deployed these days; greater pressure will be on the Ship’s Master to prevent fatigue related disaster on board. The Master is a ‘father like figure’ on board, who is required to lead, look after, guide and support the crew. If the crew co-operates, supports and assists him, realising the sword that is hanging over his head, it will be a happy ship.